Using Gemstones for Tarot reading: which, and how? Short answer: I love using stones to help me, and find clear quartz is the most effective. 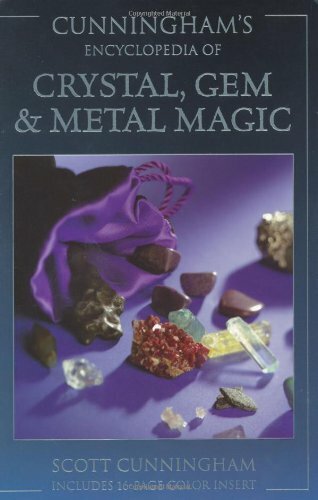 Do you use gemstones in your Tarot readings? How? P.S. I’m doing a series of videos on this. Questions or suggestions on topics is VERY welcome! Just mention anything you would like to see covered in the comments. Aquamarine is a stone of WATER. Aquamarine is a blue-green variety of beryl, and a sister of the Emerald. The word is from the Latin words “aqua” and “mare,” meaning water and sea respectively. Like the sea, some are blue and some are green. Associated with psychic abilities, intuition and healing, it’s also used for protection for traveling by water—place one in a container of water for a protective amulet. Like water, it’s also used for cleansing and purifying emotions and charkas. It can help you manage emotions and find relief, washing away worries and overwhelm. It’s used for managing fear and dealing with tidal emotion. Pisces and those with heavy Neptunian influences would likely find this an especially friendly stone. This stone can actually feel like waves, washing over and around you as you hold it. (Or at least, it does to me!) Not drowning, but more like a seashell on the beach, when the tide comes in. There’s a sense of flowing, acceptance in this stone’s personality, you know? It seems sympathetic and soothing. It’s most associated with the Throat Chakra–which cracks me up, as I notice all these stones I have been picking up lately seem to be associated with the Throat Chakra. Like I need help in running my mouth? Ha! Physically, Aquamarine is used for cleaning and purifying the digestive system and any fluid elements of the body. It’s also long been used for vision and eye health. Caring for your Aquamarine—this is a fairly hardy stone that doesn’t require special handling. For energy cleansing, I would suggest water. Go figure. Do you have or use Aquamarine? Do you like this stone?